Housing, regardless if you rent or buy, can be a pricey expenditure. But for renters, missing monthly payments may lead to severe consequences like damaged credit scores to being evicted. For some renters, these monthly payments put pressure on being able to pay for other basic needs like food or healthcare. A new study by Urban Wire found nearly 40 percent of non-elderly and non-disabled renters and buyers faced difficulties meeting basic needs in 2017. But between renters and buyers, renters struggled more. Up to 46 percent of renters had difficulty meeting one basic need compared to 36 percent of buyers. Food expenses and healthcare were the biggest burden. Nearly one third of renters experienced some sort of food insecurity in 2017 — a significant contrast compared to the 13 percent of renters who reported they have trouble meeting their monthly rents. 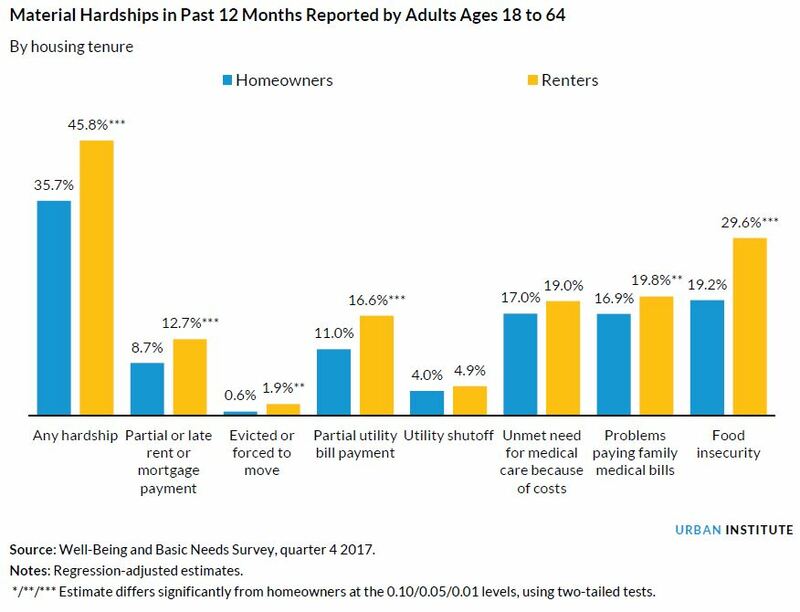 Additionally, one-fifth of renters reported they had an unmet medical need because of cost or issues paying family medical bills. “Our research adds to growing evidence that resource-strapped families face impossible decisions and trade-offs when paying for housing and basic needs like food and medical care every month,” the report states. Renters are more vulnerable to hardship, facing greater financial uncertainties. More than one-fourth reported they were not confident in their ability to save at least $400 to cover emergency expenses. Less than 20 percent of buyers reported the same. Low income renters struggled with saving even more. 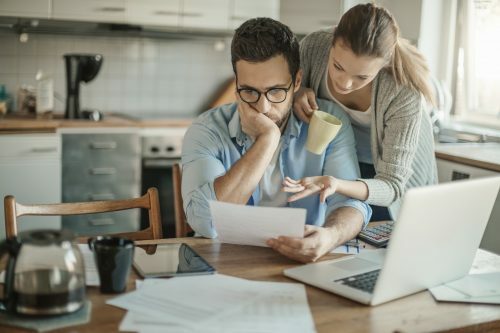 Half of renters with incomes below the federal poverty level, about $50,000 for a family of four, reported they were not confident to cover an emergency. Also, about one-in-five renters experienced a significant decrease in their income in the past 12 months. But homeownership may provide little refuge. While they generally fare well compared to renters, low-income homeowners struggle to meet basic needs. Nearly half of homeowners earning less than 200 percent of the federal poverty level reported issues providing basic needs. Nearly one-third and more than one in four reported they had difficulties paying for food or have an unmet medical need.